GoAir has announced the delivery of its first A320 NEO aircraft which landed early morning at Delhi airport. 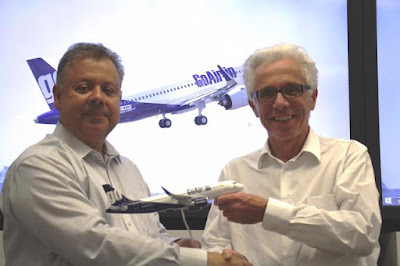 With this addition GoAir adds its 20th aircraft into the existing fleet of 19 A320 aircrafts. The A320 NEO incorporates latest generation engines and many innovations to ensure smooth flying experience while also reducing carbon footprint. 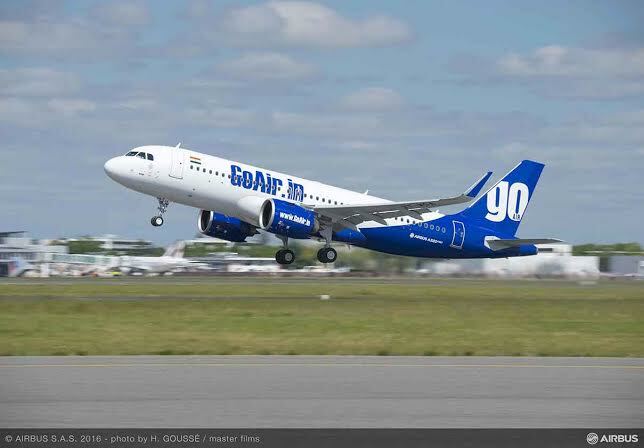 As a responsible airline GoAir has decided to forgo the customary water cannon salute on arrival at Delhi to avoid unnecessary wastage of water. The A320neo is configured in a comfortable layout and is equipped with the innovative Spaceflex cabin concepts making even more efficient use of the available space. GoAir is also the first airline to use this aircraft in Spaceflex configuration with 186 seats enabling better service and availability during peak seasons, without compromising on the comfort of the traveller. The A320neo “new engine option” incorporates a host of innovations, including latest generation engines and large Sharklet wing-tip devices. These allow for 15 percent in fuel savings from day one and 20 per cent by 2020. This is equivalent to a reduction of 5,000 tonnes of CO2 per aircraft per year.